The Hawaiian Archipelago—1,600 miles long and comprised of 130 islands–comes to an end at South Point, where the deep blue sea rolls for 2,500 miles southward before any land breaks its surface. This photo is looking north from the canoe ladders, modern renditions used by today's fishermen, following in the barefoot steps of ancestors from centuries past. Today's anglers are mindful of the Halalea Current off the point, named for the chief who was swept away here and never seen again. The land (the east rift of Mauna Loa) slopes gently to the tippy tip of South Point, making for an easy stroll that passes the Kalaea Heiau (temple). 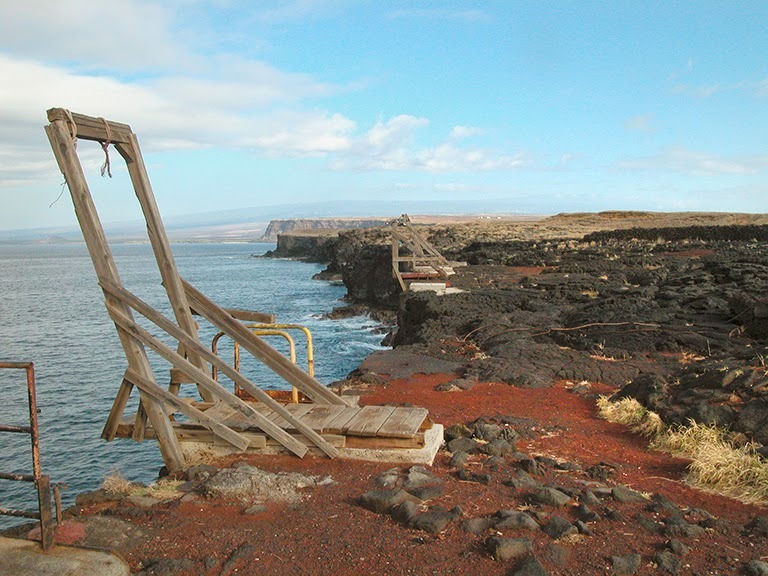 A more popular walk from South Point is to wild Green Sand Beach, a 5-mile roundtrip excursion. Visitors with limited time may want to skip that one and check out the Kahuku Trailhead that is across the highway from the spur road that ends at South Point. Kahuku is the newest section of Hawaii Volcanoes National Park. You'll find volcanic formations for sure, but green slopes and tropical forests are the main attraction at Kahuku. 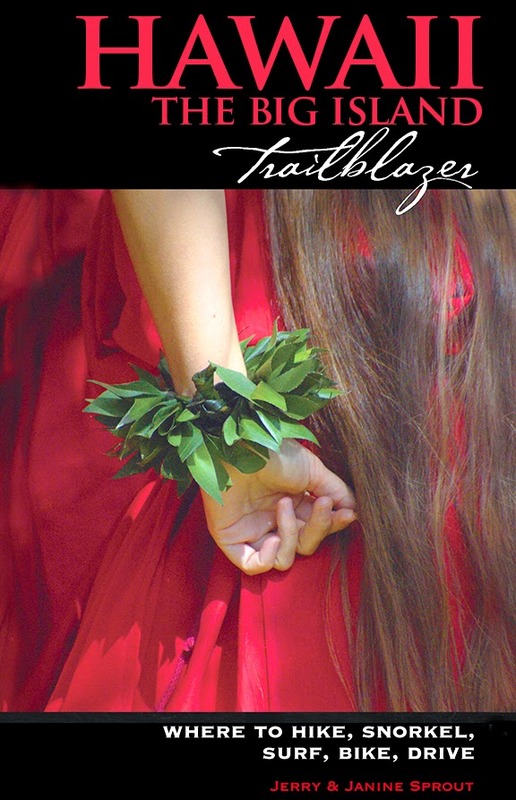 Hawaii the Big Island Trailblazer has more details, beginning on page 117.